This spring sees the launch of a new service for Hyundai owners, which will take service records online, alert owners when an MoT is due and offer exclusive deals. Those owners who sign up to the programme will be able keep track of servicing and repair work on their car and request a service with their local dealer. Hyundai says that once IT systems have been upgraded across the network, there will later be the option of booking a service fully online, including looking at available dates. The catch is that the car needs to be serviced within the Hyundai dealer network in order to keep the digital service record up to date. Hyundais will continue to be supplied with the traditional service book, which can be stamped. One advantage of a digital system of recording services is that it cuts down the risk of fraud. It's also set to reward loyalty to Hyundai. Members of the 'My Hyundai' scheme will be offered exclusive deals and discounts and kept up to date with the latest news at the company. The launch of the new service co-incides with the launch of new-look Hyundai showrooms, with updated signage and re-vamped interior, designed to present more upmarket image. 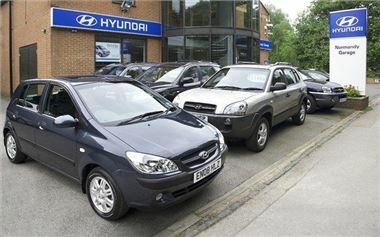 The My Hyundai service is expected to launch by May 2011.